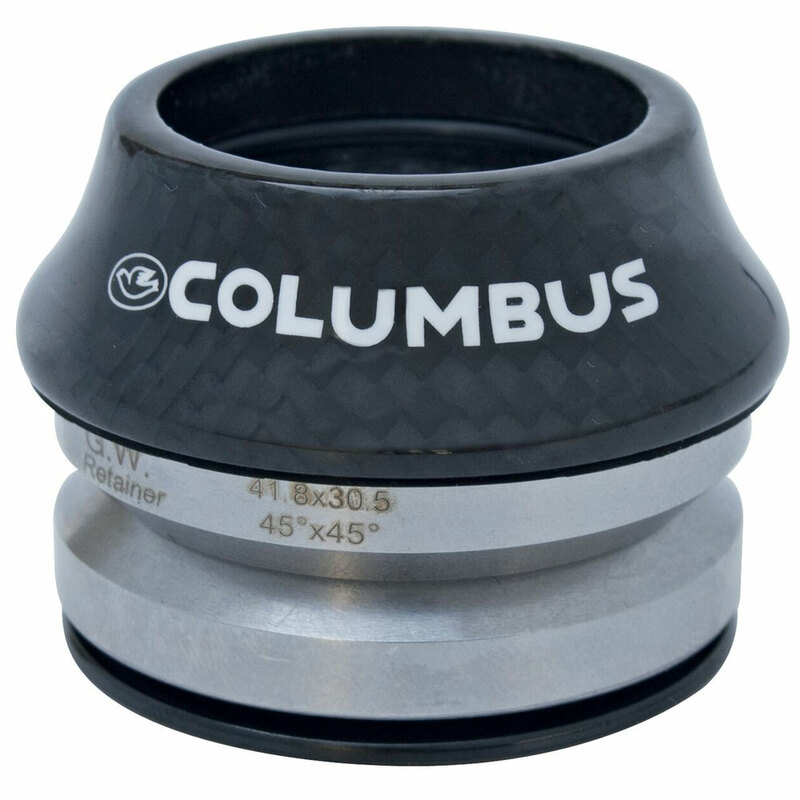 To complement their range of high-performance frames and forks, Columbus have developed the COMPASS integrated headsets. Compass headsets are designed for racing frames with tapered 1 1/2" and 1 1/8" head-tubes (IS 45deg), thus allowing the use of a larger lower bearing race as is appropriate for the stresses placed upon it. 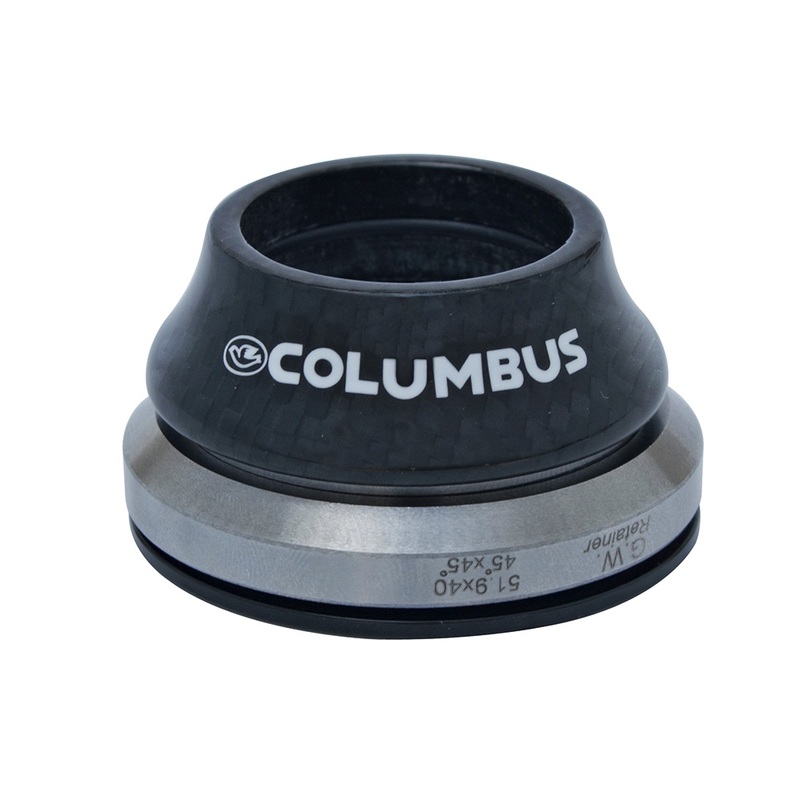 COMPASS Carbon is supplied with heat-treated steel ball bearings. 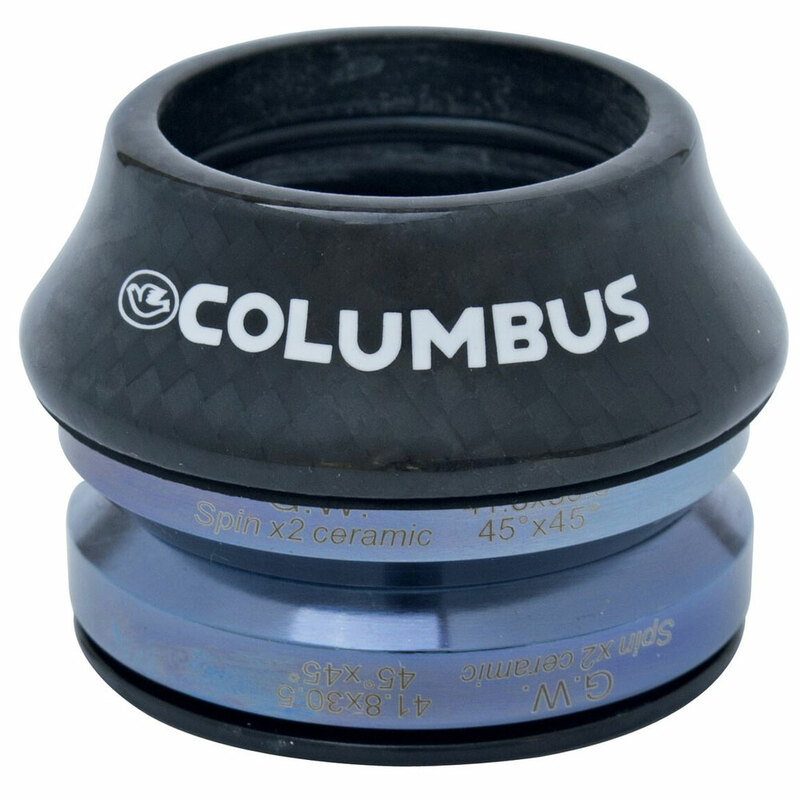 COMPASS Carbon Ceramic features ceramic bearings. 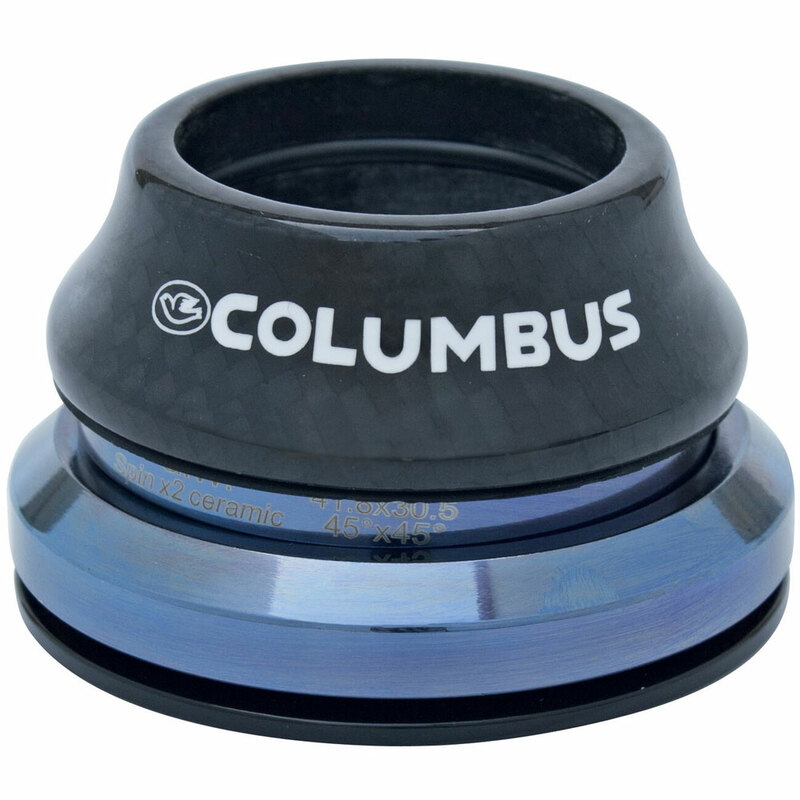 Headsets are supplied with a 15mm tall carbon top cap/spacer.